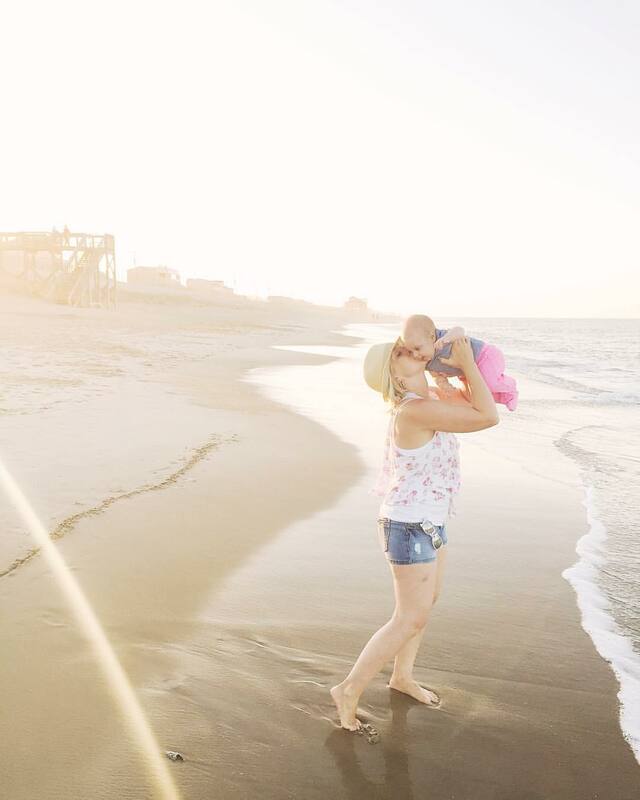 From chasing seagulls during all dayers on the beach to enjoying the shade and shopping in the charming town of Duck, we have so much fun on the Outer Banks all year round during our post-morning routines. It’s no secret there’s a TON to do here, but we are also in a stage of life where we can’t quite try everything out yet (kite boarding, jet skiing) for the sake of sticking together and spending time together as a family. Some of the things we DO love to do for our Outer Banks afternoons, however, are listed below! **Bad Bean is just one of the best places on the beach! The fire roasted tomato and jalapeño salsa is just one of my favorite things in this world! I love the new location at the old Pizazz Pizza on the bypass, so convenient and they made it look amazing in there! GREAT stop on your way in but also worth the drive if you’re staying anywhere else! Located in Colington in Kill Devil Hills. **La Fogata is a Mexican place we love here, we love getting the fajitas and we just love the quick service and short wait times for Mexican having three impatient kids! Located in Kitty Hawk and Nags Head. **Kill Devils is SUPER fun for families! Located right off the bypass! It’s got great soft serve ice cream, wraps and sandwiches. ANOTHER place we get cheese fries and burgers… but the cool thing is that there are vegetarian options, too! It’s an outdoor location so it’s perfect for great weather days. It can get a little crowded but it’s worth the wait! Located in Kill Devil Hills. **Waveriders Cafe is going on this list even if it was on the last series installment, the Mornings By The Sea post, because I LOVE their build your own sandwich that much! I get turkey and cheese on pressed ciabatta with “bistro sauce” and it’s SO GOOD. This is such a perfect place for meetings, getting work done or just hanging with friends. They’ve done a wonderful job of making it feel like a place you’re welcome to come in and stay as long as they’re open! If you’re heading further South to Hatteras, we LOVE Angelo’s Pizza in Buxton. It’s like this warm, classic, small town pizza joint where our family has always been treated so warmly. I know there are doing some renovations, but there is usually an arcade in there as well. Not sure if that’s staying or going… but we adore that little place! We haven’t eaten here but I will tell you that Bros Sandwich Shop has been a favorite of all of our friends for a long time! We’ll be trying it this summer for sure! 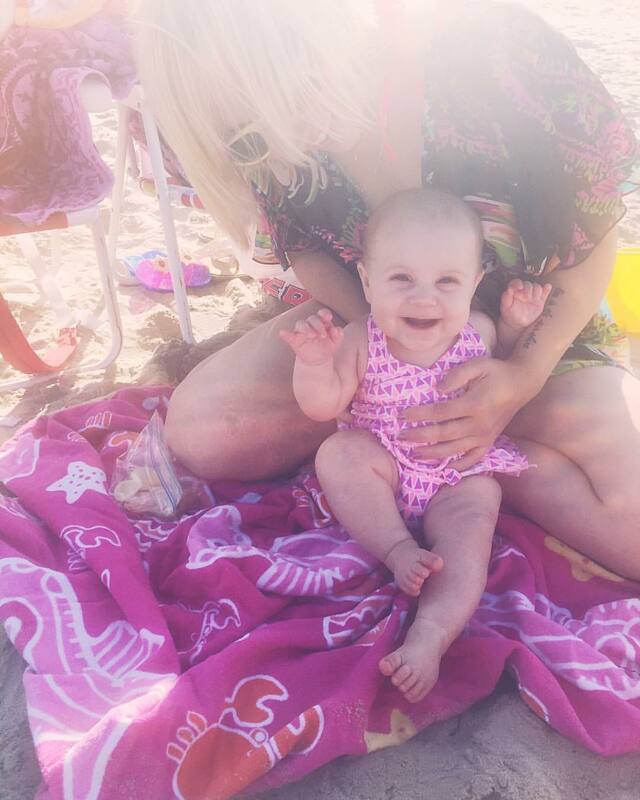 One of the best things we can do here on a day off together is pack up our beach gear (want to see our ONE HAUL list? Follow *this link* and scroll to the bottom of page for a free download!) and head to the beach all day after breakfast. Spending our afternoon with some takeout from one of these restaurants or a packed up lunch is simply, in our hearts, the best way we could spend a day on the Outer Banks. 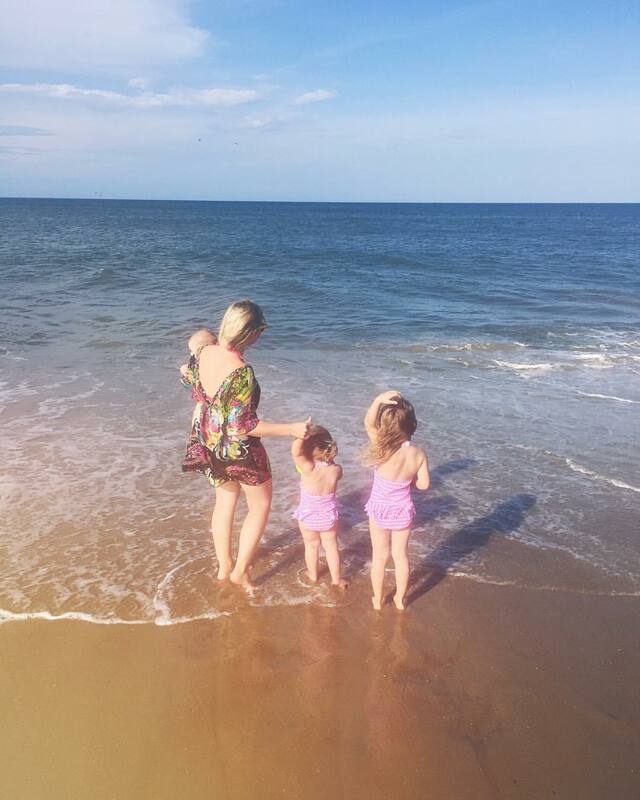 We haven’t quite ventured out to do many of the activities this island has to offer because with three little ones in tow, we can’t necessary hop on experimenting with new things for the sake of wanting to all be together and have as much as quality time as possible…but all dayers on the beach remain our favorite way to do an Outer Banks afternoon! If we’re not doing several hours on the beach, instead we’ll go for a couple of other options! Hatteras and Ocracoke trips are one of our favorite things to do. We love to have breakfast, get ourselves together and then right before lunch head down South for that glorious, epic drive of power lines and clean, perfect dunes. Here’s my hope for you: you’ll be so inspired by the scenery that you’ll want to put your phone down and take it in. When we head that way, I think to myself… this can’t be real! I also can’t help but think about the movie Nights in Rodanthe and the aerial footage that depicts that amazing place. Hatteras day trips are filled with stopping at the Cape Hatteras Motel to say hi to the beach, because that is our FAVORITE place to stay and then usually hopping over to Angelo’s for lunch before we keep driving South if that’s what we’re doing or before we head home. But one other stop we MUST make while there? Buxton Village Bookstore. Oh please – please walk in that little charmer if you can! It’s a tiny little house FILLED to the brim with excellent books! It’s the kind of place that makes you want to swear off the giant chain bookstores and reminds me of the movie “You’ve Got Mail” – the charm is undeniable there. There are some great books by local authors available right up front and lots of historical books about the Outer Banks, too! If we’re not doing a Kitty Hawk/Kill Devil Hills/Nags Head all dayer, and we’re not down South in Hatteras or Ocracoke, we’re probably shopping or walking around in Duck at Scarborough Faire or the Waterfront Shops! We love places like Outer Banks Popcorn Shoppe (buy the rainbow popcorn and never look back! TRUST ME!!) and we also loving heading further south to Tim Buck II! There are so many sweet, small businesses that give you an experience that wouldn’t be available anywhere else…because there is truly, truly no place like the Outer Banks. It’s not for everyone, but enough people make such a big effort to get down here for one week a year from all over the country that it’s undeniable what kind of magic and peace it brings thousands and thousands of people each summer. 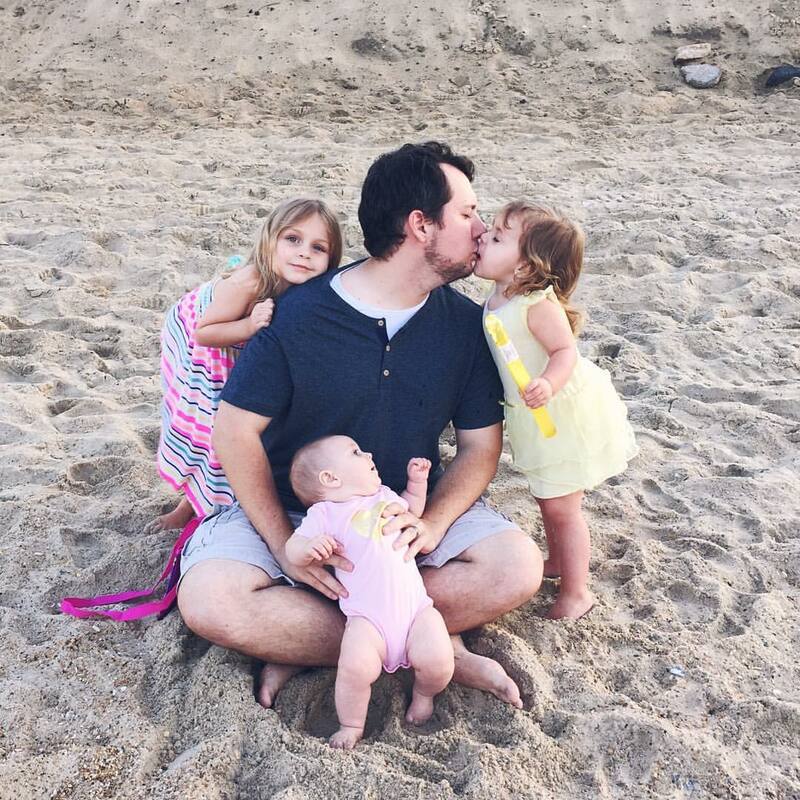 Awww thanks for sharing your day with us… nothing better then being off with your babies!!! YAY!!!! I so needed to read this!! I was going to email you this week about what you recommended we do when we aren’t on the beach. Try to post the dinner installment soon or email me with suggestions.